When your appliances are not working with you, we will! When an appliance goes on the fritz, don’t think that’s the end of its usefulness. We’ll have it back running again in no time. Give us a call or use the contact form to schedule an appointment. We’ve been taking care of Charleston and her coastal islands from the edges of Wadmalaw to the outer reaches of Mount Pleasant for over 25 years. We are licensed, insured, and all technicians are master certified by PSA. We service most major brands, including Bosch and Fisher & Paykel. Members of PSA (Professional Service Association) with Certified Master Technicians and Consumer Specialist are here to assist you. 1. Is the technician dispatched to your home certified by a nationally approved trade association? 2. Does the technician dispatched to your home have current background & drug screening? 3. Does the company offer a 2-4 hour window for service calls with an advance call to meet? 4. Is the company properly insured and licensed for your area. 5. You can always find a company who will beat a quoted price BUT are they using manufacturers parts or after market? 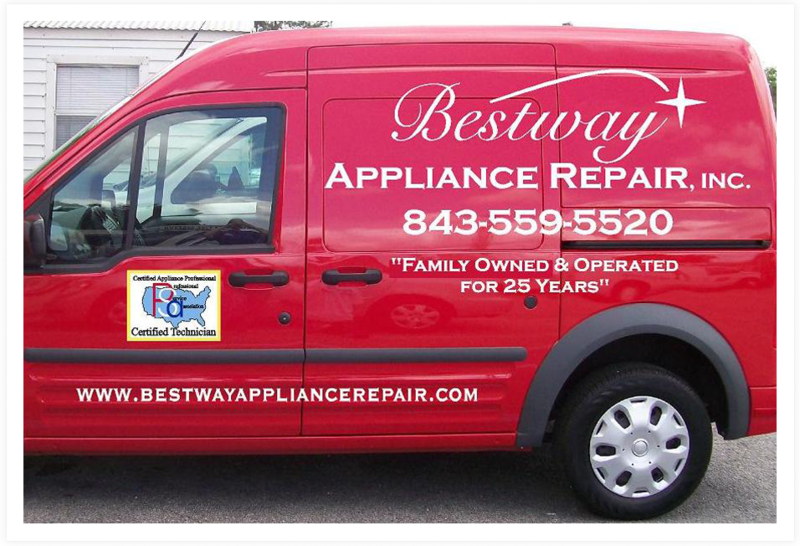 Copyright © Bestway Appliance Repair, 2012. All rights reserved.